Replacement windows in Lusk Garda Station to improve insulation efficiency whilst restoring architectural integrity. The existing uPVC windows in this project were unsuitable and detracted from the authentic historical look of the building. The original window design was Georgian with lambs tongue glazing bar profile. Signature Traditional Sliding Sash Windows were used as they replicated the original window design. Signature Windows replaced windows in Lusk Garda Station to restore architectural integrity. The station is based north of Dublin City Centre in the picturesque village of Lusk. The division in Lusk was not satisfied with the style or performance of the uPVC windows. Insufficient insulation caused by the poor quality of the uPVC windows led to uncomfortable conditions in the station. The architectural integrity of the building had suffered as a result of the poor aesthetics of the uPVC windows. Signature Windows provided the solution to both of these problems by installing a high performance Traditional Sliding Sash Replacement Window. Georgian Style Sliding Sash Windows with Low E11 glazing were used in this building. Signature Replacement Windows are noted for their crafted wood finish, traditional and classical profiles and superior energy rated performance. Signature Traditional Replacement Windows offer you the ultimate in design flexibility and authenticity. Signature Windows Design Team provided the perfect solution for restoring the building to its original look by designing custom jamb extensions and architrave around the interior of the windows. Signature’s experienced Installation Team removed all windows ensuring that there was little disturbance to the reveals and therefore reducing the time spent on fitting the job. 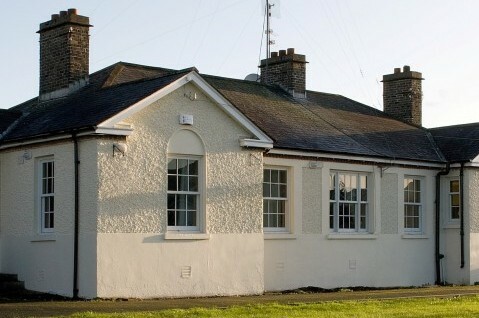 In total 11 Georgian Sliding Sash windows were replaced in Lusk Garda Station, restoring original charm to a station set in a picturesque village in North County Dublin. 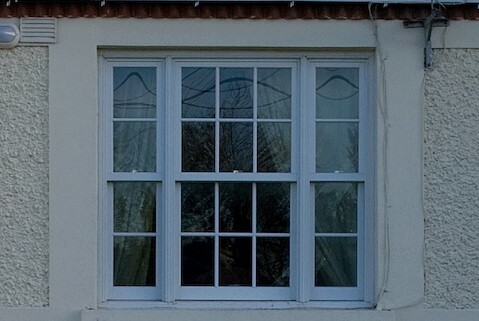 Remove poor quality uPVC windows and replace with high performance Signature Traditional Georgian Style Sliding Sash Replacement Windows.